Week 4: Design, Design, Design! The week involved two things: on redesigning of the landing page and on researching onMyRanker. We picked to write our server in Python. 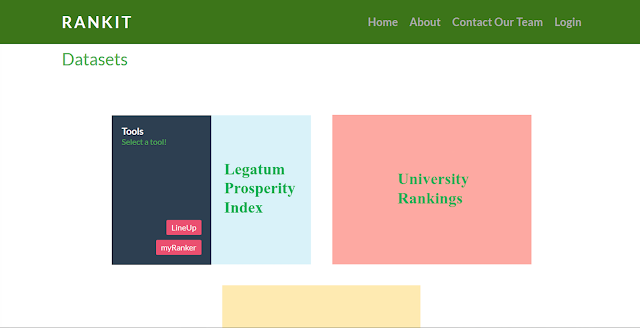 For that, we refactored the structure of our project and some landing page code to have it function properly with our server. We made sure that, upon startup of our server, in a separate thread, Lineup would start up as well, such that, whenever you click a button called "LineUp" on the landing page, it would redirect you to Lineup. 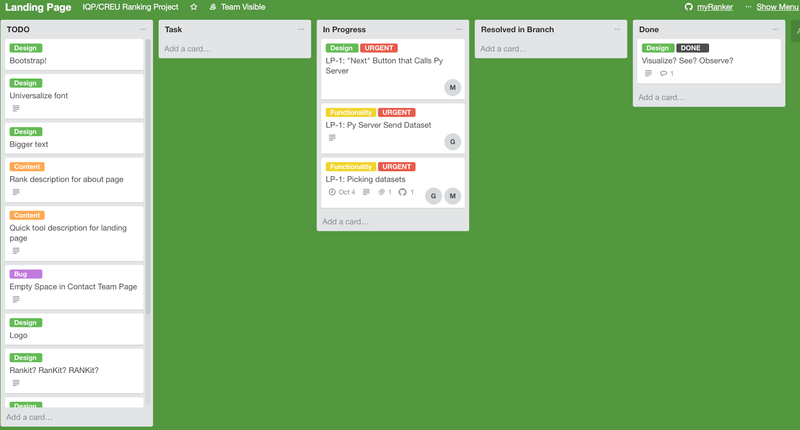 Realizing that there was a lot of work to do, but hardly any way to track it all, I decided to bring back Trello into the picture. Taking into account the meetings we had with our professor, I made tickets for all the tasks we needed, prioritized the important ones, and assigned those tickets we absolutely had to complete for this week to each individual. This week we will be looking to tie Build more closely with Explore, by ensuring that we can pass JSON files from one end to another.